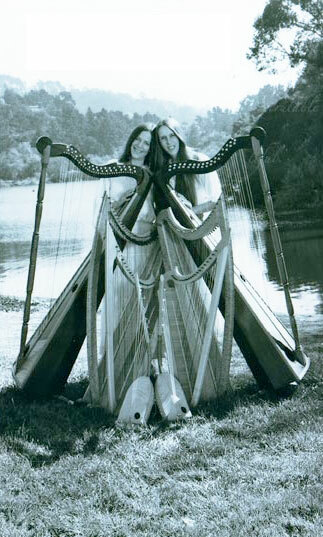 The duo Twin Harps, Cheryl Ann Fulton and Diana Stork, perform original/contemporary and medieval-inspired music. Cheryl and Diana met in 1989 and became instant admirers of each other’s music. Cheryl, a specialist in historical harp performance, especially triple-strung harp, with a strong background in pedal harp and historical harp technique, brings a level of technical virtuosity and scholarship to the duo. She holds a BS, MM and DMA in music/harp performance from Indiana University, and has contributed significantly to historical harp research. She can be heard on over 30 recordings, many for major labels. Diana’s interest in a wide variety of ethnic music styles (Celtic, Latin, North Indian) as well as her love of American popular music, bring a contemporary feel to the duo. Diana is the director of the Festival of Harps, the World Festival of Harps, and the Bay Area Youth Harp ensemble. She co-produced the CDs Harpestry and Celtic Harpestry (PolyGram/Universal), which developed into a program for PBS television. The music of Twin Harps is emotional and refined, accessible and subtle, contemporary and rooted in both early, classical and folk music traditions. The majority of their repertoire consists of their original compositions, many directly and deeply inspired by nature. They play with two different techniques (Diana plays with her nails and Cheryl with her finger pads), which creates both an interesting blend and contrast in their sound. They often perform on two matched, birds-eye maple, lever harps built especially for them by Robert Bunker of Loveland, Colorado. A popular duo in the San Francisco Bay Area where they live, they have performed in Grace Cathedral, Yerba Buena Gardens, the Palace of Fine Arts, and the Dorothy Spreckels Center. 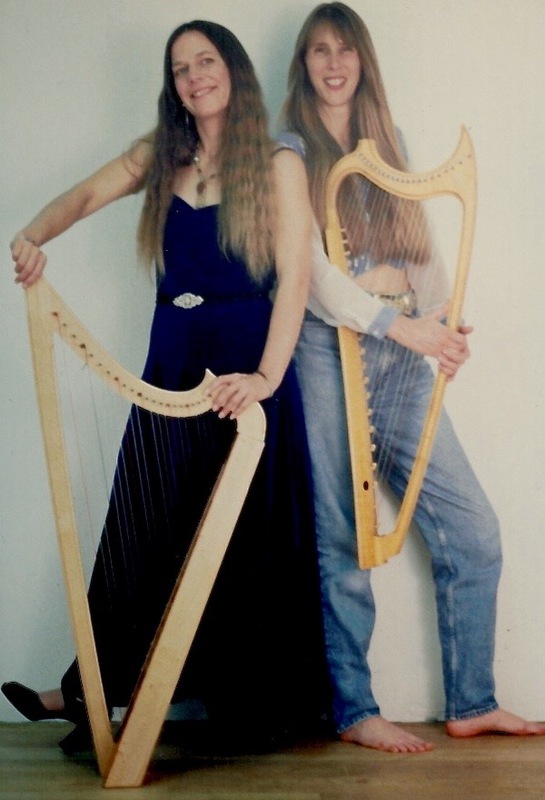 They performed at the 2002 World Harp Congress in Geneva, Switzerland, and they have toured in the United States in California, Alaska, and the Southwest.